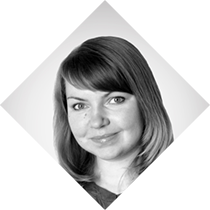 Olga is a Web Developer Lead at Astound Commerce company. She works both as frontend and backend web developer more than 7 years. She is always searching for new approaches to solve tasks in best manner. Olga has a rare ability to overcome difficulties and to find a way out at problematic situations.